That figure does not give a full picture of the extent of the current housing crisis as the term ‘applicant’ does not indicate if those are single persons, couples or families. It is therefore conceivable that anywhere between 50,000 and 90,000 people – parents and children – could actually be on housing waiting lists. Without any doubt, that housing crisis will be further exacerbated by the introduction of a ‘bedroom tax’ which will squeeze families on low incomes into greater hardship and, possibly, eviction from their homes. Within the Six Counties, the local housing stock is made up mainly of two and three bedroom houses and flats with few one bedroom units. It is widely accepted that smaller properties for those affected by the proposed ‘bedroom tax’ are in short supply so, in practice, most families will simply be forced take a hit to their already limited household budgets, forcing them further into poverty. As a result, child poverty, already growing, will grow even faster. 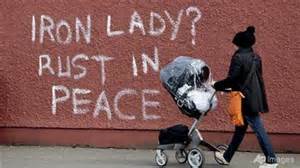 The ‘bedroom tax’, designed in Westminster and being considered by Stormont, is the latest in a series of blows to vulnerable communities which are all contributing to the rise in child poverty levels. All this is set against a backdrop of cuts to the support available to people who are falling on hard times at a time when unemployment is increasing. The number of people in need of work in the Six Counties has reached the 130,000 mark. Putting that figure into context, the previous economic recession during the Thatcher era of the 1980s saw unemployment in the north peak at 123,500 in October 1986. Commenting on the Stormont proposals, éirígí’s John McCusker said, “Where are families with already limited incomes meant to find another £10, £15, or £20 a week to make up the shortfalls in their income as a direct consequence of these so-called welfare reforms? “It is working people, and those desperately seeking paid employment, that are already feeling the most pain from these policies. They are very often people who are stuck in cycles of low-paid work and are increasingly reliant on topping up the shortcomings in their income with benefits and tax credits. McCusker continued, “Stormont is viewed by many as being incapable of creating meaningful and long-term employment. It is certainly incapable of defending working people’s living standards. “The position of all the Stormont parties around the issue of corporation tax cuts for big business demonstrates that they are ideologically opposed to the correct political position which would transfer the burden of financial contribution from the poor and onto the rich.